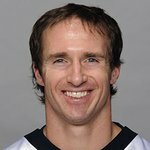 Jumbow.com, an online platform that uses crowd-funding to benefit charities, and Drew Brees have launched a charity campaign that will give one lucky fan a once-in-a-lifetime experience with Drew. For as little as $10, entrants submit themselves for a chance to win an unbelievable package in Phoenix, AZ during Super Bowl XLIX. Proceeds of the campaign will support the Brees Dream Foundation, which improves the quality of life for cancer patients and provides care, education and opportunities for children and families in need. The once-in-a-lifetime experience gives fans the chance to get to know one of the NFL’s all time greats on a personal level. The winner will receive tickets for two to the Super Bowl and also accompany Brees to an appearance during the weekend. The winner and a guest will also gain entrance into some of the weekends hottest parties and enjoy private, intimate time with Brees. Early in 2014, Tiger Woods launched the first charity campaign on Jumbow.com with an amazing experience in Las Vegas at Tiger Jam. Most recently, Derek Jeter donated his time to raise money for the Turn2 Foundation. Both experiences proved to be a success for the talent and their foundations, as well as for the winners who were overwhelmed by the time and generosity of the athletes. For more information or to donate for your chance to win, visit jumbow.com.